SULU, Philippines (Mindanao Examiner / Mar. 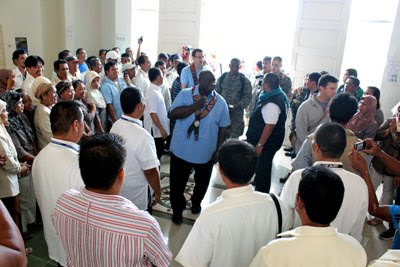 22, 2011) – US Ambassador Harry Thomas Jr. visited Tuesday Sulu and Basilan provinces in the southern Philippines and pledged more support to the government’s peace and development efforts there. Thomas, accompanied by Gloria Steele, the Philippines Mission Director of the US Agency for International Development Philippines, and American military officials, met with Governor Sakur Tan and other local government leaders. Tan, for his part, expressed the appreciation of the provincial government and the people of Sulu for the support and assistance the American people had extended in various community projects in the province. 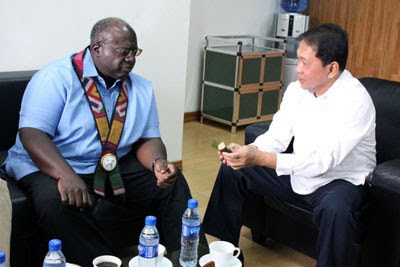 Thomas also flew to Basilan province where he met with Governor Jum Akbar. Thomas first visited Zamboanga City on Monday before heading to Sulu and Basilan where he inspected US-funded projects. He also signed a $1.3 million grant in support of the Literacy for Peace and Development Program for adults in the Sulu Archipelago.